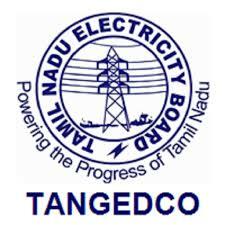 TNEB Gangman(Trainee) Recruitment 2019: TANGEDCO has released the Tamilnadu Electricity Board Job Notification 2019 on 07.03.2019 by newspaper. In this article, we are going to discuss TNEB Gangman Trainee exam eligibility, TANGEDCO Notification 2019, TNEB Gangman Trainee written exam syllabus, TANGEDCO Trainee Exam date. The salary details for Tamilnadu EB department given below. The candidates are requested to take notes in this. TNEB Gangman Exam date has not yet announced. However, the candidates requested to keep checking this page to know live updates on TNEB Exam date. Eligible candidates can apply online through the Official website www.tangedco.gov.in from 22.03.2019 to 22.04.2019. Before applying, Candidates should ensure that they fulfill the eligibility criteria as per published in the online advertisement.